A well-made pedal that could add something to your chunky powerchords. Too polite for some! Lacking some top-end cut. 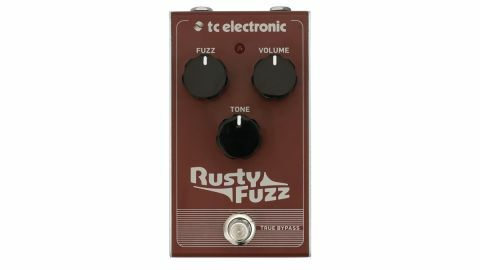 The Rusty Fuzz again takes its sonic footprint from the Fuzz Face. For a fuzz pedal, it's actually relatively polite and a bit of a challenge to get gnarly, treble-heavy tones without use in conjunction with an overdrive/booster. Similar to the original Fuzz Faces, the output of the Rusty is relatively low, but it's great for big fat powerchords for a Queens Of The Stone Age vibe, even if it lacks the top-end cut for lead work. Of course, that's why vintage fuzz fans tend to run them into already overdriven amps. For under £50, though, it's hard to fault the build quality, and there's true bypass switching to boot.